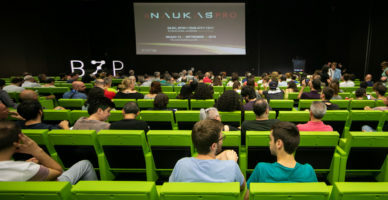 The Chair of Scientific Culture of the University of the Basque Country UPV/EHU is 5 years old and to celebrate this anniversary, a special Zientziateka will be held at the Azkuna Zentroa in Bilbao on 23 June. 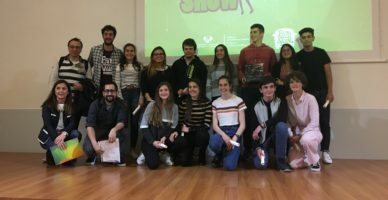 Two leading scientists, such as the Professor of Linguistics at the UPV/EHU, Itziar Laka, and the lecturer in the Medicine Faculty at A Coruña University, Xurxo Mariño, will offer various conferences in Basque and Spanish respectively. Laka will give a talk entitled “Hitzaz” (“Of the word”) in which she will talk about the nature of words: what they are, what we are able to identify in them and what goes unnoticed when speaking. This conference will be in Basque and there will be a simultaneous translation service for those that require it. Mariño’s talk will be called “¿Para qué nos sirve la mente?” (“What is the mind for?”), in which he will explain how the human nervous system has evolved and how we have become aware of our own existence, an essential fact for the development of modern societies. However, is self-awareness a product of the evolutionary process or is it a mere coincidence? The talk will be in Spanish. Zientziateka is a monthly initiative organised by the Chair of Scientific Culture of the University of the Basque Country UPV/EHU and Azkuna Zentroa to disseminate scientific knowledge. Tickets should be collected from the Azkuna Zentroa Information Point. Access is free.